Time for reviews of a novel and novella by Jamie Foley! Picture a fantasy world with (surprise!) modern times (not here, but similar to our time-period), and some fantasy elements like mind superpowers; then add an apocalypse, secret military agents out to wreak havoc, lovable characters (including an awesome sarcastic ex-sniper), snarky conversations, and loads of humor, all wrapped up in a layer of suspense, with a dash of Christian-allegory undertones—and you have a unique, well-written, good-clean-fun novel called Sentinel, which reads almost like an action-movie (but funner)! Definitely outside of my normal reading, and I’ve never read anything like it, but I so enjoyed it! Buddies-who-aren’t. I don’t know about you, but I LOVE stories about two characters who are thrown together and REALLY don’t get along but have to work together. And when one of them is a rather flippant teenage boy (our hero, Darien), and the other is dark, no-nonsense Jet who is not going to put up with stupidity… you know it’s going to be awesome. They kind of hate each other but are the best and have such excellent interactions AND I JUST LOVE IT SO MUCH. Banter/humor. Coming right up on that last one, there is SO much awesomeness in the form of Darien and Jet bickering, and general snark and humor, plus some of the writing is humorous too. Right there, you have four of my favorite things, all rolled up in this book: an awesome favorite character, a buddy-story (where they aren’t… yet. ;)), humor, and hilarious snarky banter. SO MUCH YES. But oh, you want more reasons? Fantasy! Fantasy makes everything better. Mind-powers etc. which are called Aether, and the different kinds people can be include Arbiter (mind-things like telepathy or memories), Sentinel (use it like striking force), Valnah (emotions), Vanguard (making walls of force), and rare ones like Healer, or Sage (seeing the future). So original and unique—this world and everything is just new and I loved it. The other characters are great too and the different cultures etc. and mysteries and hints are really interesting. Everything else—just read it already! It’s modern, which isn’t my favorite — but it’s modern in another world and somehow isn’t the usual blech of many modern books. It’s apocalyptic/post-apocalyptic (which is a close relation to dystopian, which is a no-no for me, and in general I’m not the biggest fan of the world ending?) — but again, being in another world… I don’t… actually… mind? Plus we didn’t actually see the end of the world happening, since it was kind of off-screen (“Looks like the apocalypse started without us.” — one of my fave quotes in the book) and I’ve heard it’s just going to move more toward general fantasy-world kinds of things with less technology in later books. And because it’s not OUR world, I don’t actually mind, somehow! It is definitely SUPER intense and suspenseful, which might have gotten too much for me, but the humor keeps rolling in to keep it a little more light-hearted. Levi yelled something about volleyballs being expensive. Darien racked his brain for the smallest reason he could have been summoned by something as scary-sounding as ‘the Grand Master council’. Jet snorted and looked back out the window. Is ‘Thracian’ his dad? Why does he call his dad by his name and not ‘Dad’? Jet barely contained a growl. He could call Darien out on it—again—but this time it’d be just as awkward for himself. Note to self: get him to build mental shields. Immediately. Darien’s thoughts ran over Jet’s like a freight engine. It was VERY thrilling and intense and suspenseful! Not what I usually read, but I was definitely super absorbed and worried. 😛 As a novella, it was also a quick read. There were a few typos, I had trouble keeping Copperhead and Moccasin (two of Jet’s Viper strike team) straight, plus it’s short, and generally not entirely my usual reading cup of tea, hence 4 stars; but I did really enjoy it and it was engaging, well-written, and super intense! Jet and Sorvashti are great together, especially with her way of speaking since she doesn’t know his language well, and he doesn’t know hers—loved that! Language-barrier things are so fun. It was hilarious and adorable. ^_^ It’s told in their alternating POVs, which was really interesting. I enjoyed both of their perspectives. Arbiter (book 2) just released! What about you, my Pagelings? Have you read any of these? Do they intrigue you? Let me know in the comments! Since it is after all March Magics / Diana Wynne Jones month, I thought it would be fun to list all the books by that author that I’ve had the pleasure of reading so far, and a few thoughts on them and how I ended up reading them . . . I’m going to list them in order of when I read them, so they’ll be nicely organized by year, though not necessarily chronologically by series! The titles all link to Goodreads. I found Dark Lord of Derkholm at the same library sale as House of Many Ways, and specifically remembered being recommended it alongside Howl’s Moving Castle… and once again I almost didn’t get it due to the cover. But I did anyway. I was so glad I did. I didn’t “get” it for a long time, but it was great fun to read and I hope to reread it soon. But the shenanigans — oh, I loved them! (Once I got used to them.) All the characters and insane happenings and fantasy creatures . . . it was glorious. I named my cat after one of the griffins, Callette. It was only after I had read House of Many Ways that I found out that the other sequel, Castle in the Air, was actually chronologically BEFORE that one, after Howl’s Moving Castle. Oh well. I promptly got it from the library and devoured it and it was hilarious. The twists I for the most part did NOT see coming. It was so different but I loved it! Especially the relationship between Abdullah and the Soldier — so much humor! Also a library-sale find, I decided to eat this one next, but I’m afraid I didn’t really “get” this one at first either, since it’s a collection of short stories connected with the Chrestomanci series. I knew that they were fascinating stories, and that I was already addicted to the character Chrestomanci, even after only seeing him in a very few pages — his dressing gowns! — but this one left me a bit nonplussed at the time. I don’t think it’s a good introduction to the world(s) of Chrestomanci, but I didn’t know that then. Still, it was quite enjoyable; and I really loved it the second time I read it, once I’d read the rest of the series. I now own this one, but at the time, I found it from the library, completely excited there should be a sequel to Dark Lord of Derkholm! It was great fun as well, though a mite hazy in my mind now… I loved the griffins though. 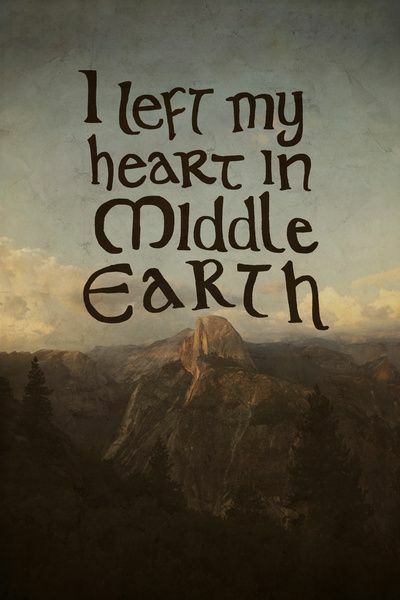 And I hope to reread it soon too. At this point I reread Howl’s Moving Castle — starting it on May Day! How appropriate! — and it was even more glorious the second time! All the twists and things that you don’t get the first time . . . I think all Diana Wynne Jones books beg to be read at least twice… possibly more. 😉 Especially this one! ❤ Both because they are wonderful and need to be devoured more than once, and because they are so complex with so many twists and mind-rearranging necessary that it will be QUITE a different read the second time around! And it will probably take a third (at least) to fully appreciate. At yet another library sale, I found a collection of the first two Dalemark books. I read this one in a day. 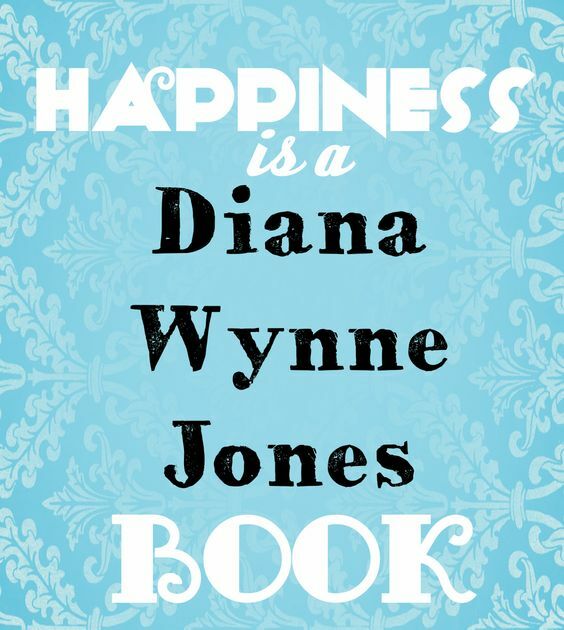 It was utterly different from her other books I’d read — for one thing, it was an older one; for another, it was entirely set in another world with no connections to ours; and for a third, though it was funny from time to time, it wasn’t AS funny as often before. It was a new look at her books for me . . . and I realized that she could write amazing epic fantasy as well (with muskets!!). Needless to say, that same week I devoured the next one. It was utterly strange too and I had fun trying to piece together connections with the first one, since it was mostly off by itself. It was so strange but I loved it (which . . . kinda stands for all of her books. ;)). So then I had to rush out and find the next book in the series, from the library (except now I own it in a collection of its own! Oh joy!). This one was even stranger than Ammet, but I enjoyed it a ton. One of the things I like about her books is that they are all so DIFFERENT even in series. And this was the first time I really noticed the sibling relationship thing she had going (though thinking back, it was largely in Derkholm as well). It was wonderful, and I love how well she can juggle so many characters, especially in one family! I had tragically not had time to read this one when I read Spellcoats, so I got it from the library again and commenced on a truly fascinating journey. This was the first one that I read that was ENORMOUS. So I didn’t devour it in a day like I do with most. As usually, it started out being extremely odd, but I was so fascinated and excited with the goings-on in this one! For one thing, it started tying together the three previous books! Characters I had loved on their own were now starting to meet up with other ones, which was glorious. For another thing, it did the most brilliant thing I had ever seen: time travel. In a fantasy world. *flails* I. LOVED. THIS. It has some modern-type setting with trains and stuff, and then the almost-medieval-but-with-muskets time period the first two had, and then also linked in with the mythic pre-historic time that was like pre-medieval with more magical stuff. And it blended these all seamlessly, along with all the plots from the previous books, as well as its own plot, and so many rivalries and things between all the oodles of characters whom I loved, and just LKJLDKJALKDSJLFJ IT WAS AMAZING!!! It was really the ending that got me on this one. It was so flaily and unexpected and perfect and it left me an incoherent wreck of squealy awesomeness-overload. It was my favorite book I read in 2014 and became my favorite DWJ read after Howl’s Moving Castle. So then I had to devour the second collection of Chrestomanci books which I owned, starting with this one. One of the few downsides to the series is that Chrestomanci himself isn’t in them all the time, since they each usually follow different heroes/heroines, and he usually only shows up later on for a bit. But still, they’re all delightful! This one was great fun, set in a magical Italian type of setting. I loved this one. At this point, I had a rereading stretch. I reread Mixed Magics that March, since I had finally read all of the other Chrestomanci books, and I LOVED it this read-through. Then I managed to get my lovely bookclub on Goodreads to read the Howl trilogy; hey, I’ll take any excuse to reread Howl. 😉 So I re-read Howl’s Moving Castle in March-April, Castle in the Air I devoured once again on a day in July, and House of Many Ways I read again in August. Yet another library book, I have an oddly incomplete memory of reading this book… o.o But I know I enjoyed it muchly, that it was characteristically funny and odd and fantastical, and that I loved the characters of Aiden and Andrew and so on. Also, a minor thing, but one of my favorite proposal scenes. XD And I loved the furniture moving and the vegetables. *giggle* (For some reason it made me think of Wallace and Gromit: The Curse of the Were-Rabbit… just a little.) Also it made me make some shortbread cookies. Diana Wynne Jones books usually make me want to eat things (usually cucumber sandwiches and other sandwiches…). I don’t know WHY it took me so long to read this one… I’d had it from one of my many library sales for a long time… I think the cover wasn’t appealing. 😛 Anyways I finally read it and loved it so much! It has SUCH an enormous twist like half-way through… I just loved the twists in this one… Half of it feels like a medieval fantasy sort of thing, and the other half . . . well, I don’t want to spoil it. 😉 Oh, and the family dynamic was fun to read too. She’s so good about writing amazing and realistic but hilarious families! The style of writing was more like the Dalemark books and less like her characteristic whimsical voice… but there was that ONE scene (you’ll know if you’ve read it) that suddenly the style switched to her more normal one, and it was the most hilarious part of the book and the characters were drunk and it was 100% classic DWJ writing and I loved it. XD Anyways, this book was, again, so DIFFERENT and I loved so many of the characters. JoBoy (in The Dragon Book edited by Jack Dann & Gardner Dozois) – 2 stars. This is the only thing by her I’ve specifically disliked that I’ve read so far. I didn’t quite get it, it was dark and depressing and ENTIRELY the wrong thing to read when I was ill one time. >.> Brilliant, yes, with some good bits, but too scary for my taste. I’ll Give You My Word (in Firebirds Rising edited by Sharyn November) – 4 stars. This one was a lot of fun, with lots of strange and long words — loved a lot of it! Little Dot (in Firebirds edited by Sharyn November) – 5 stars. Oh my goodness, this story! It’s all from the point of view of a cat, and she refers to her owner, Henry, as if she’s the one who owns him, and they live on a farm in England and he’s a magician but nobody seems to know it, and there are several other cats, and shenanigans ensue and it’s marvelous fun. Who know a cat’s POV could be such fun! So there you have my Diana Wynne Jones journey up to this point (there was also seeing the Howl’s Moving Castle movie, which is another story and which I also love, despite its enormous differences from the book, though I still like the book better). Okay, where do I even start? I’m addicted? I think I did overhype it to myself, so I didn’t love it as much as I hoped I would? But I still enjoyed it a ton. This is basically what would happen if a Sherlock Holmes type person could see supernatural/fantastical things and had a female assistant instead of Watson, and was in late 1800s America instead of England. 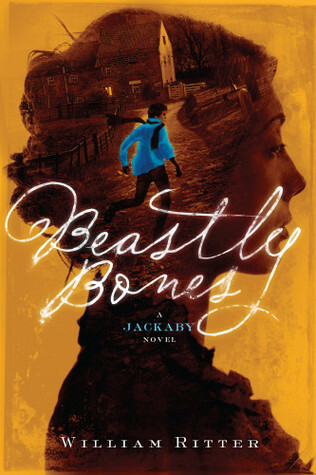 I’ll admit that I’m addicted primarily because of Jackaby himself, since he’s the sort of character that I like to read, especially the bickerings between him and the heroine, Abigail, through whose eyes the story is told. I loved the “feel” of this one. Despite the touch of American stuff, which gives it just enough of a different kind of flavor, it feels almost like Holmesian London, which was fantastic. You get a sort of dark, shadowy, cobblestone street at night under a moon and gas streetlamps sort of feeling, where there could be a murderer or a creature from fantasy legend (or both) lurking in every shadow or towering building, and it’s fantastic. The mystery is intriguing, with just the right amount of hints and evidence and mystery, with the ordinary police force thinking it’s ordinary, and Jackaby insisting it was unnatural. I just loved it! It’s kind of creepy, but in that way that I like (normally I don’t like creepy stuff, but this felt just right, somehow, so I didn’t mind; it wasn’t terrifying, just eerie). I guessed the main parts of the mystery. Which was fantastic. One likes to feel smart, you know? Though there were, of course, a couple things that made me go “OH, of course I should have gotten that!” But the main things… totally had it. (Or at least variations. Which is fun too, because there’s so many things it COULD be, all your various guesses, and then you’re like “ohhhh, it was THAT one!”) I’m kind of addicted to mysteries, suddenly… I must read more! Also, can I just say, the supernatural/fantasy aspect with the legendary creatures bits and so on, was a lot of fun. Especially with a banshee and… well… the other certain creatures of Celtic and other folklore, which I will not give away in this review. 😉 But suffice it to say, it was really cool reading about it and going “oh, yes, I know about those legends!” It makes one feel connected. It’s also pretty hilarious/awesome his interactions with the actual police/detectives. They’re kind of wary and weary of him, and he’s just all chipper and “yep, let me just wander into the crime scene and poke around and it’s obviously a sinister creature who did this, by the way.” And the Inspector fellow is just like ready to strangle him. It’s awesome. Oh, and Charlie was a great character too! I guessed his twist too (or most of it) and… yes. Bwahaha. I really like his character. 🙂 All the great characters! 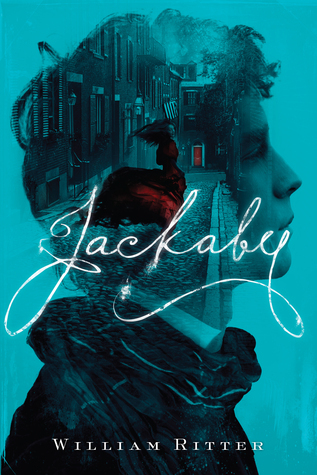 All in all, really enjoyed “Jackaby”! It’s kind of hard to explain my thoughts on the book without giving major spoilers about the plot… but I’ll try. I’m giving this one 4 stars primarily for Jackaby himself, of course, and how much I in general enjoyed his and Abigail’s and Charlie’s interactions with each other. As a sequel, I’m already immensely attached to this trio, so it was great to see them again and that’s the main reason. Part of the 4 stars is also, yes, for a couple of brilliant things in the plot, and for the fact that I couldn’t put it down, and for the humor/awesome dialog. Then there was the fantastical/supernatural/fantasy element. In the first one, I really enjoyed the mentioned creatures/legends, because I felt like I knew them, and they were familiar. In this one, though, there were a bunch of weird random things, clever, yes, but some of them kind of creeped me out. So except for an eventual twist which did bring a fantasy creature I’m used to (and is a total spoiler but was kind of awesome and also terrible at the same time), I just felt… disconnected from the fantasy elements. And then the characters. I didn’t like any of them. …Okay, that may be harsh. Obviously I still adore Jackaby, and also Charlie, and Abigail SOMETIMES… (we’ll get into that), and I have nothing against the old farmer, poor fellow. But everyone else I pretty much disliked, felt “meh” about, or loathed. Which is not good when I think you’re not supposed to? I’m sorry! I don’t usually rant, but pardon me for a moment while I rant about some characters, and I apologize to anyone who liked them. Both the excavating fellows (forgot their names, sorry; I read this from the library and sent it back, so I don’t have the references for names or quotes — which is killing me because ALL THE AWESOME QUOTES WHICH I DON’T OWN) were awful — the younger one because I kept suspecting him of things because he was young/handsome/slightly slimy and very goodmannered, and the other because he was a total JERK who is simply painful to read about because he’s going around being grouchy and bullying everyone through contracts. I’ll admit he wasn’t so bad eventually, simply because the other characters wouldn’t play his game, but still. Bleh. It was awful with these dinosaur bone people treading all over this poor farmer guy’s rights and acting like they’re in charge. I hated that. They made me want to throw the book. Sometimes it’s just really hard to read things like that, for me at least. The trapper fellow who was Jackaby’s friend was okay, but I never got into him. His accent was supposed to be some sort of mountain-man/western/southern/rural drawl thing, I think? Which I’ve never been into in print — it comes across as annoying to me, all the “ya’s” and… I don’t know, it doesn’t read well, somehow, and almost is demeaning because it’s almost like it’s being made fun of. I LIKE trappers/mountainmen/western/southern/rural people/places, but I don’t like when they seem backward. I don’t have anything against him, per se, I just didn’t click with him and thought it was weird that he and Jackaby were friends. The twist about HIM, I felt should have been all… “wow”? But I was just kind of “…um, okay then.” about it. But my goodness, I didn’t mean to turn this into a bashing party. I’m sorry! The book is actually quite good, I couldn’t stop reading it, it was very absorbing, and I really loved lots of it! It just wasn’t quite as amazing as the first one, to me. Like I said, though, I bet that all of the things I disliked about it, will probably not be a problem to other readers, so don’t let me stop you from reading/loving this book. It’s definitely an intriguing book, and I’m not going to stop reading Jackaby things because like I said, I’m addicted… I guess I just feel strongly about this book in many ways, which is actually a good thing! And I can’t really be too mad at any of the problems, because then along comes Jackaby and some of the banter and I’m just “yep, I love this so much.” So. BOOK THREE RIGHT NOW PLEASE AND THANK YOU. Oh my word, this story! GAH. *huggles it* Okay, so it’s a short story/novella type thing, which is free on Kindle, set between Jackaby and Beastly Bones. It’s a short, fun read, and has an even different feel than the other two, but I simply LOVED it. It’s Abigail’s birthday, and Jackaby takes her on a treasure hunt with an old map and fantastical things ensue. But get this: it’s entirely based around trying to find the treasure from the Irish song “Whiskey in the Jar.” This kind of totally made my day!!! Just… the idea of it. I suppose for anyone who reads it who’s not familiar with the song, they’d just be like “whaaat?” but since I grew up on old Irish songs and always loved that one, it was simply fabulous. I hardly have anything to say on this one because I don’t want to ruin any of the plot, but it was just a rollick and I loved it. It had its share of perils and such, but mostly it was just an excuse for Jackaby and Abigail to go on an adventure together and interact, which was just so much FUN! I think sometimes, some of my favorite character pairings/groups could just do NOTHING plot-wise and I’d still enjoy it. In a way, big scary mysteries/adventures/problems which constitute “plot” can even take away from the fun of simple character interaction which is my favorite part of some things. Basically, READ IT. It’s just fabulous and I adore it to bits. Abigail hopes that her birthday will slip by unnoticed and uncelebrated, but her employer, detective of the supernatural R. F. Jackaby, has other plans. 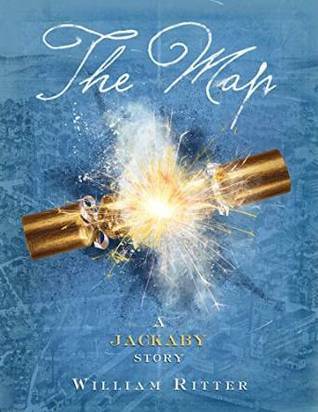 Using magical party crackers that teleport the pair to unknown destinations in time and space and a cryptic map that may lead to a forgotten treasure, Jackaby intends to give Abigail what he considers to be the best gift of all–adventure. Abigail and Jackaby must tame an enormous (and carnivorous) rabbit, defend a castle, and master a dirigible if they want to find the treasure and get back to New Fiddleham alive. Other Notes: Got the novels from the library, and the novella free on Kindle! Cupcake awards to anyone who made it through reading this whole post. These were slim books, each of which I read in a sitting, and I was in the mood for some short reads, so that was nice. I’m not sure what I think of them overall? I mean… I enjoyed them okay, some of the writing was lovely, and it’s obvious that they’re not meant to be taken too seriously — just fun adventures written for kids. I did really like the Welsh setting. I’ve read a few books, now, set in semi-modern-day Wales (these particular ones were from the 1980s) and they all had a similar “feel,” so I found that to be neat. The ancient craggy hills, the wild wind, the old legends creeping into modern day, the sort of almost-lilt of the slightly-odd way they talk even in English, and the occasional smattering of Welsh words dropped here or there. It may just be the shortness of the books, but I did often feel like things were rushed or not explained well enough. Some of it was super vague and I was confused about what was going on a lot. But like I said, they don’t seem like they’re supposed to be super in-depth. Still, a bit more of explaining things might have been nice. Some of the characters seemed to change randomly, which was weird? But that might have been just me. Sometimes it just felt oddly… unfinished. One thing that I didn’t like so much, and is a common problem in contemporary novels (one of the reasons I avoid them generally) was the dysfunctional/not getting along of families. Though at least these each tended to focus on one family/problem per book, and generally sorted out most of it by the end, so that was good. I do like seeing repaired families. 🙂 Still, it’s rather difficult for me to get through the stuff before, in order to get there. I just… don’t enjoy reading that stuff. (Some people call it “conflict” and insist that books need that sort of thing. I believe there can be plenty of “conflict” without that sort of uncomfortable mess.) So, one of those “it’s not you, it’s me” sort of things for these books and me. I quite loved the scraps of Celtic legend thrown in here and there, weaving into the story. That was great! I’m trying to remember specific things it mentioned that I knew about… But anyway, I feel like there were a few things I’d read of before, and even if I hadn’t, it felt… comfortable. In that eerie, mysterious Celtic way, you know. I’m just used to such myths and legends and it feels quite natural to have them built in like this. So that was enjoyable for me. Oh, and something that really annoyed me (I know it’s inconsequential, sorry) was the excessive use of exclamation marks after dialog. I think it was just an ’80s thing and/or a children’s-book thing, but it felt like they were always quipping or yelling, even though they weren’t supposed to be, and it felt kind of condescending. But that’s just a minor issue and I eventually got mostly used to it. Still, thought I’d mention it. I’m not sure I particularly recommend them? But some people who like modern fantasy, and don’t mind small books about very young kids written for a younger age, might enjoy them. I’m not sorry I read them, or anything, and found some enjoyment for myself, they’re just not 100% my “thing” and I don’t know if they’d be others’ either. This was mostly from the POV of Nia, a girl minorly mentioned in the first book. I think I wasn’t expecting that. This one actually reminded me a lot of the Julia Redfern books by Eleanor Cameron (just add a little magic). About a very young, very reckless/hotheaded girl who gets into scrapes, though her continued lying got to me a little, especially since half the time I really understood it, and half the time I… didn’t. I also loved Nia’s art school project part of the plot — quite lovely (though with some misfortunes along the way. *wince*). It was also quite interesting to see the hero of the first book, Gwyn, from another perspective! And then there was Gwyn’s cousin, Emlyn. There could have been more to his story, but I enjoyed his part of it all the same. He was a great addition (I’m sorry, I can never resist the golden eyed/slightly troubled boys). On Gwyn’s 9th birthday, his grandmother tells him he may be a magician, like his Welsh ancestors. She gives him five gifts to help him–a brooch, a piece of dried seaweed, a tin whistle, a scarf, and a broken toy horse. One blustery day, unsure what to do with his newfound magic, Gwyn throws the brooch to the wind and receives a silvery snow spider in return. Will he be able to use this special spider to bring his missing sister, Bethan, home? THE SNOW SPIDER spins an icy, sparkly web of mystical intrigue that sets the stage for the next two books in this outstanding trilogy. Young magician Gywn and his friend Nia have been warned to stay away from Emlyn Llewelyn, the strange boy who claims his mother lives on the moon. And yet, a mysterious magic continues to draw them to him. But why? It’s up to Gwyn and Nia to solve the mystery, with the help of Arianwen, the Snow Spider. Readers will race along with Gwyn in this fantastic magical adventure to rescue Emlyn and his family before it’s too late. Gwyn can feel danger coming in the wind. Somehow he knows the warnings have to do with the broken toy horse that holds the evil spirit of a prince who lived long ago. When Gwyn discovers that the prince’s dark soul has escaped from the horse and is seeking revenge Gwyn, Emlyn, and Nia have to figure out how to save the mysterious soldier who claims to be Nia’s distant cousin. With the help of the Snow Spider, can they recapture the prince’s soul without hurting the Chestnut soldier? Series: The Magician Trilogy (also called the Snow Spider Trilogy). List on Goodreads. Favorite Character: Humm… Well, I liked Emlyn in the middle book, and in the final, I’d say Evan (sometimes… whenever he was… ahem… himself). Other Notes: Book 1 I got from the library; book 2 was given to me; I found book 3 at a library sale.